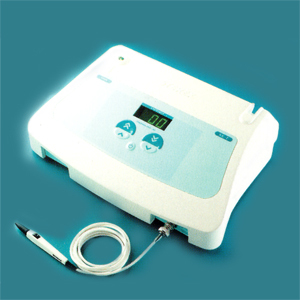 Electrolysis targets the growth center of the hair follicle with heat energy. Electrolysis can be effective for all skin tones and all hair types and colours (including fine, blonde and white hairs). We have invested in the best technology, Sterex Electrolysis, so that your treatment is as safe and comfortable as possible. Sterex Electrolysis can be an effective, long term solution to unwanted hair when IPL and laser hair removal is unsafe or unsuitable. IPL and laser hair removal targets the hair pigment. To be effective, there must be a significant difference between the skin (light) and hair (dark) pigments. IPL and laser hair removal cannot be used to treat fair, red, blonde, white or grey hairs. Electrolysis can be a long term solution to unwanted hair. It is best suited for treating blond, white or grey hairs that cannot be treated with laser or IPL hair removal. Keep in mind that hair growth goes through different stages, and that for electrolysis to work the treatment must be done during the growth cycle of the hair. This is why multiple treatments may be needed. There is some discomfort when the electric current is applied, but most people find it tolerable. At Avenue Advanced Skin Care we perform Electrolysis treatments in 15, 20 and 30min blocks. You are likely to notice some slight redness or pink and perhaps some swelling or slight welting. This is normal. A cold compress can be applied for 10-15 minutes following the treatment to help reduce any irritation.